Do you know if it nitrite/ nitrate free? Those preservatives are used in alot of meat products and are now considered to be possible carcinogens I try to avoid them. Yup, no nitrites/nitrates. The full ingredient list is right in the product photo above with the nutritional info. It might be good slightly fried. Crisp it up. Maybe taste will be better when cooked. Are you familiar with the Hickory Farms brand? 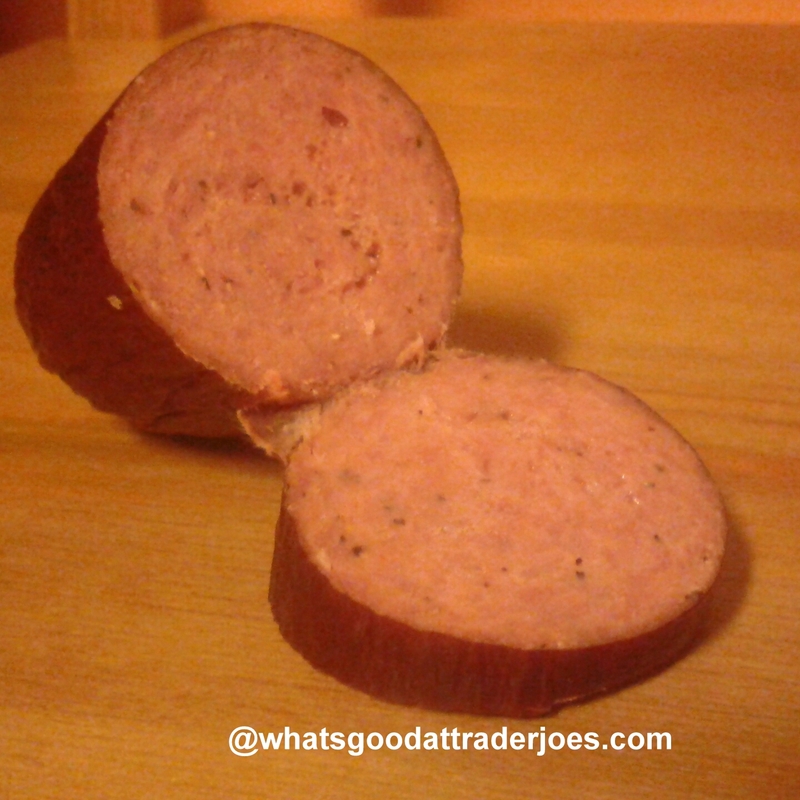 Would you say that this summer sausage is better or worse than that? Hickory farms no longer makes regular turkey summer sausage. Now theyou make a brown sugar and honey turkey sausage. Haven't tried it.